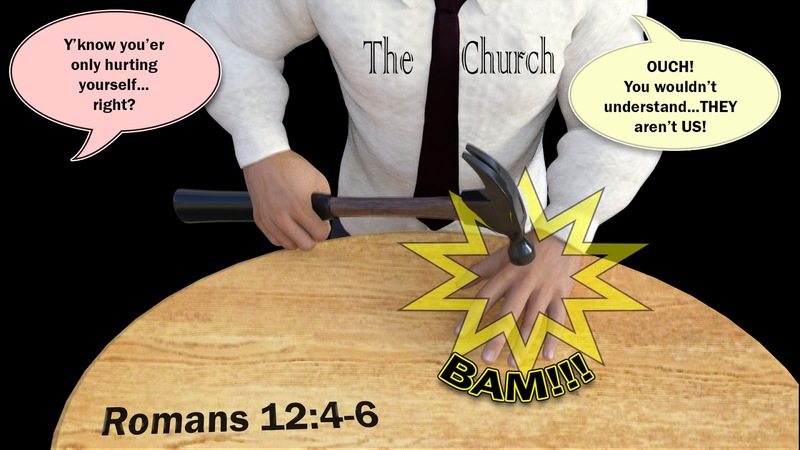 The Apostle Paul warns Christians not to hurt each other, because all Christians are part of the same body. Therefore, hurting our fellow-believers is like hurting part of ourselves (Rom 12:4-6). Paul demonstrates this when he asks the Church at Corinth to restore a member who had slandered Paul but later repented (2 Co 2). How willing are we to accept others who claim Chris but seem different?